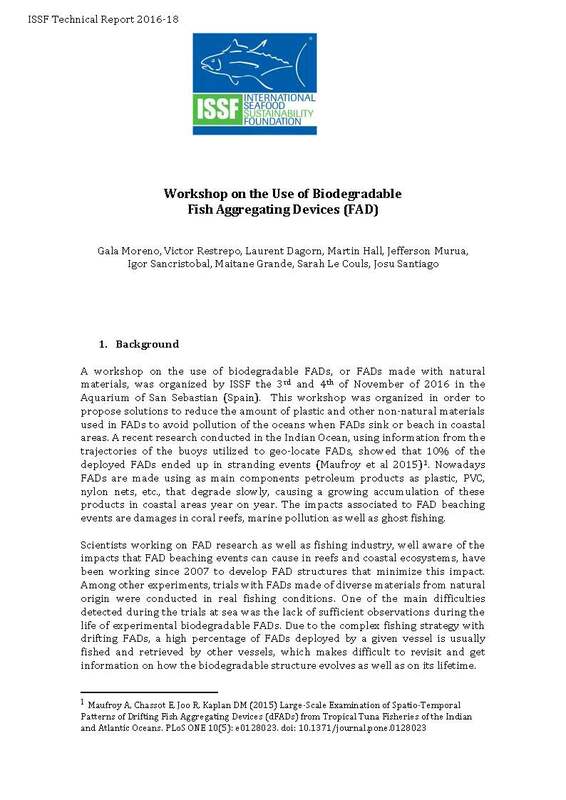 This report summarizes a workshop for fishers and scientists on biodegradable Fish Aggregating Devices (FADs)—or FADs made with natural materials—organized by ISSF on November 3–4, 2016, at the Aquarium of San Sebastian, Spain. Workshop participants proposed biodegradable FAD designs, which are depicted, for the Atlantic, Pacific, and Indian Oceans. Plastic and other non-natural materials in FADs pollute the oceans when the devices sink or beach in coastal areas. 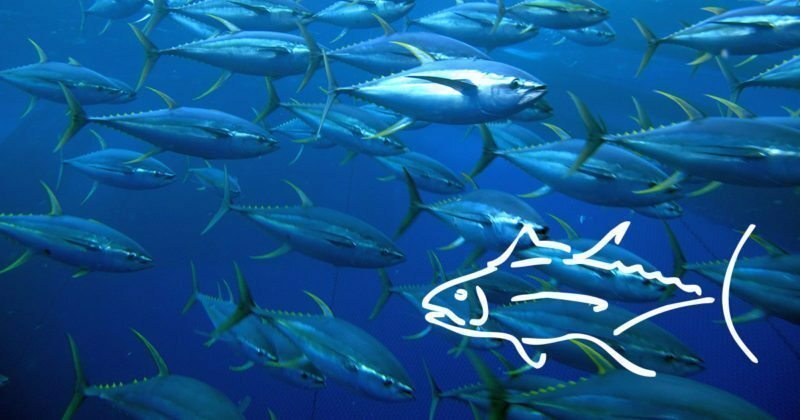 FAD beaching events also can cause ghost fishing, when nets or debris entangle marine life, as well as damage in coral reefs. Scientists have been working since 2007 to develop different FAD structures to reduce these kinds of environmental impacts.